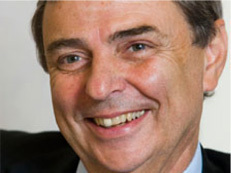 From Dave Prentis’ Blog: UNISON has always given its members the choice of opting in to its affiliated political fund, that gives them a say in the democratic processes of the Labour Party, or of opting in to the General Political Fund, independent of any political party. Our processes are democratic and transparent. UNISON has never operated the arrangement whereby we pay Labour Party membership fees for new members. Trade unions are a vital and intrinsic part of the Labour Party and, together, we have helped ordinary working men and women have a say in the democratic processes of this country and a say in Labour Party policy. However, UNISON believes that the current debate about the relationship between Labour and the unions, played out so publicly in the media, is an unforgiveable diversion from the real issues that this country faces. There are 2.5 million people out of work, young people without a future, families having to rely on food banks and payday loan sharks to make ends meet, and massive cuts to our public services. And our members have seen the value of their pay cut by up to 16% as a result of years of pay freezes. Those are the issues that matter to people. UNISON will continue to fight to protect and defend its members from attack and to help the most vulnerable in our society. We expect the Labour Party to do the same.